If your old man mutters cricket-inducing dad jokes like “Dad hands son a bison burger…son never comes back.” perhaps he could use a refresher. 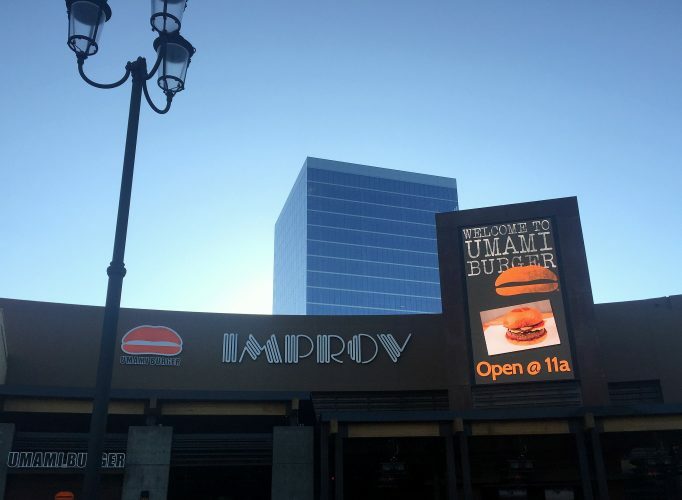 Irvine Improv teamed up with Umami Burger’s kitchen to not only attack your belly with humor, but to fill it with savory burgers. The Manly Burger is the obvious choice, complete with beer cheddar, bacon lardons, smoked-salt onion strings, and house umami-ketchup. Catch funny man Ian Bagg on Father’s Day evening at the Improv, 7 P.M. (tickets/info, use code IANLIVE), paired with a frosty dad pour of Bootlegger’s Palomino Pale Ale. With OC Beer Week’s dust settling, some solid beer releases remain. 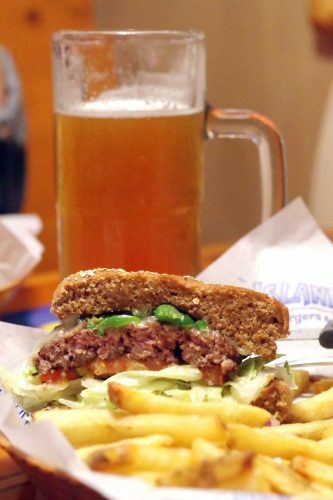 Left Coast Brewing Company and Islands teamed up to make Hula Bay IPA, the pontification of classic IPA goodness, paired with your dad’s favorite Island burger. Being a dad myself, I went for the Heat Wave burger, complete with serrano chiles, pepper jack, and spicy mayo…all on a wheat bun because hey, sometimes dads gotta eat healthy. A dad’s version of eating a balanced diet? A beer in each hand. I got dad jokes all day, people. If your daddy-o likes visiting breweries, a few of O.C.’s brewpubs can quell his bun, beef, and beer fetish. Nothing perpetuates the whole “circle of life” ethos like Barley Forge Brewing’s Lamb Burger. Turns out, Barley Forge uses Da Le Ranch meat, whose animals eat the brewery’s spent grain. Choosey dads like stuff like that. Topped with housemade tzatziki, house beer onion jam, and peppery arugula on brioche, it’s a great match with Grandpa Tractor, Barley Forge’s crisp and German dortmunder export lager, which cuts through the sweetness like a freshly sharpened lawnmower blade.